The first thing that comes to my mind hearing the word concrete would be color gray and outdoor spaces. But actually, concrete does not have to be boring and gray as you can use stamped and decorative concrete! IThere are different ways to use this material both indoors and outdoors and give your home an elegant or industrial look depending on the concrete you will choose. Below you’ll find some information about stamped and decorative concrete and the things you should keep in mind when using these materials. Stamped and decorative concrete is available in a lot of amazing colors. Remember that you can stain these floors, so you will be able to choose the colors that will suit your home decor the best. The biggest benefit of having a variety of colors is that you can easily experiment with different colors and shades and be able to create different patterns and designs. When choosing the colors, be sure to take into consideration the room you will be decorating – kitchen flooring could use shades that hide small spills and stains, whereas the playroom might benefit from vibrant colors. You have to check out how amazing these concrete floors look after staining them! Stamped concrete is perfect for driveways, walking paths in your garden or for the pool area. There are different types of stamp molds available to create your own designs or you can also buy prestamped slabs. Stamped slabs will give you an opportunity to create different patterns and change your outdoor spaces from dull to compelling. If you like DIY you can also stencil your concrete floors! 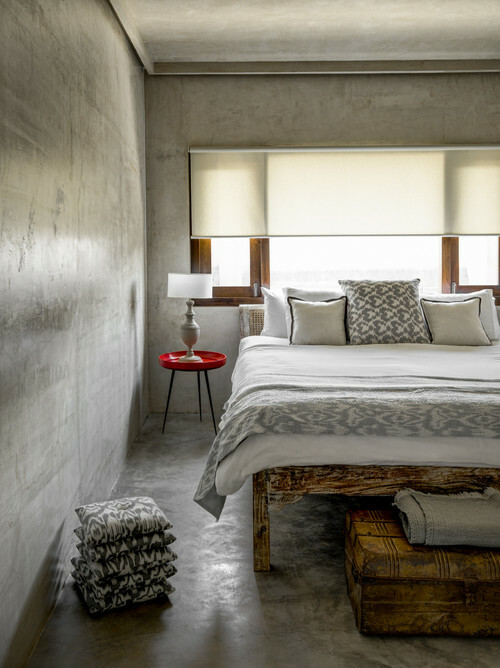 Did you know that concrete flooring can make your interior look luxurious? Yes, it is possible! Instead of stamped concrete, use the polished one! There are different ways to get the polished look. You can buy already polished concrete slabs or you can get the normal slabs polished. Either way, the flooring will look luxurious and elegant. 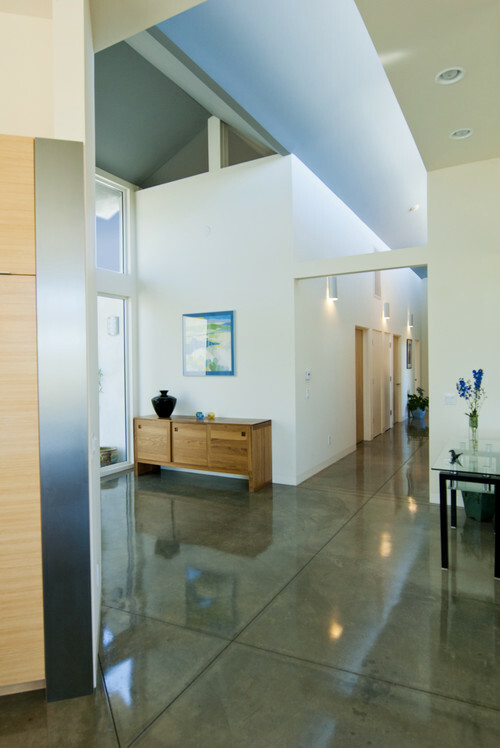 Polished concrete is mostly used indoors and is perfect for bathrooms, living rooms, and hallways. When buying the concrete slabs, remember that besides the rectangular slabs, there are also different shapes, designs, and sizes available. It’s important to plan out the design you want to create, so you’ll know exactly what shapes and sizes you need for your creation. 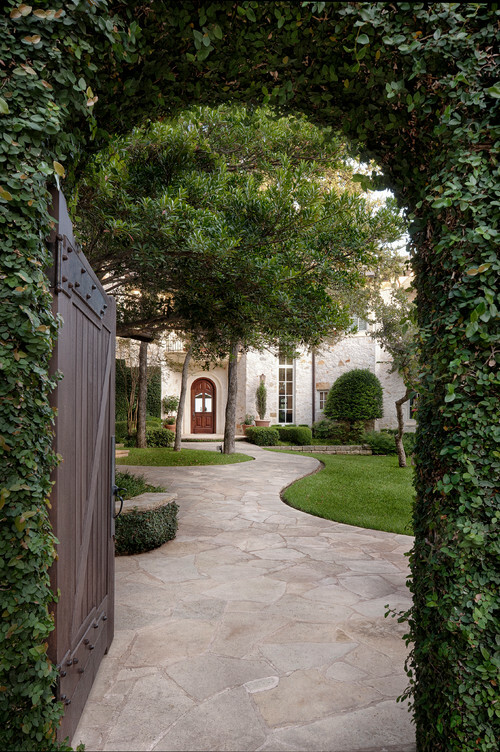 While the indoors look great with rectangular slabs, outdoor areas benefit from different sizes and shapes, to create natural-looking pathways. Remember that you can also ask the concrete slabs to be cut to different shapes if you don’t find the ones you are looking for. Concrete flooring is budget-friendly and a great DIY project, but if you are planning to get your flooring done by the stamped and decorative concrete contractors, make sure that they help you to choose the best quality product available on the market. Professionals not only help with installing the floors, but they also have the knowledge to recommend you the suitable materials for the spaces you need the flooring for. What do you think about the concrete flooring?